You’ll need a batch of the World’s Best Crêpes – Céline’s Crêpes, but you can make them the night before. You can even eat a couple for breakfast and still have plenty to dress up your dinner. These are smaller than they look on the photo. The glasses they are in are actually expresso glasses, no more than two inches in height. 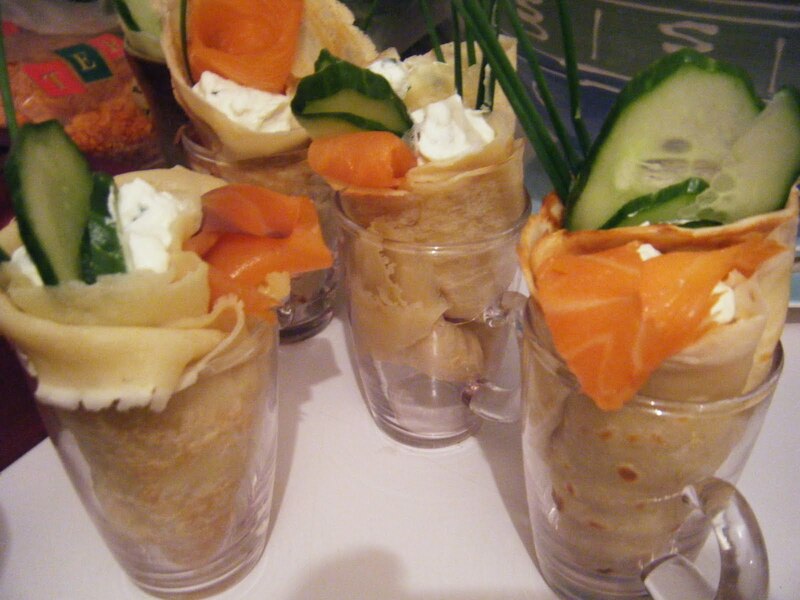 First you lay out a crêpe on a plate, fold it in half and roll it like an ice cream cone around the smoked salmon, cucumber and chives, and add a dollop of sour cream.